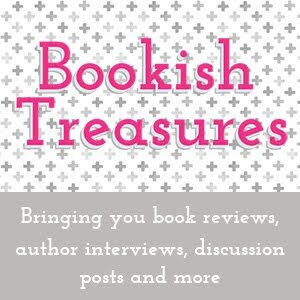 Bookish Treasures is currently closed for review requests and is not doing any new posts at this time. If you leave a comment I promise to cherish it forever :) I will also try to always reply. I am lucky to occasionally receive books for review consideration, but all reviews posted on Bookish Treasures regardless of source are 100% honest and any thoughts and opinions stated are my own. Blog contents © Bookish Treasures 2012. All rights reserved. Blogger Theme by Nymphont.